Herbert Kaminski was born on 24 May 1905 at Ohmswalde in the Ortelsburg region of Ostpreußen. In 1935, he was serving as a policeman but then transferred to the Luftwaffe. Kaminski served in the Spanish Civil War as a courier pilot during 1937 and 1938. On his return to Germany he underwent conversion training to become a fighter pilot. On completion of his training, Kaminski was posted to ZG 26. On 1 May 1940, he was appointed Staffelkapitän of 2./ZG 26. He claimed his first victory during the French campaign. During August and September, he flew over 50 missions during the Battle of Britain claiming two RAF fighters shot down. On 18 August, his Bf 110 Zerstörer twin-engine fighter was badly damaged in aerial combat with RAF Hurricane fighters over England. He was forced to ditch his aircraft in the English Channel. He and his gunner survived the ditching and were rescued by a German naval minesweeper. Kaminski led 2./ZG 76 during the Balkans campaign. He was shot down during a ground attack mission over Serbia and, after making an emergency landing, was captured and imprisoned. After 11 days in captivity and constantly threatened with being shot, he was freed by German troops. Soon back in action, Kaminski undertook many ground attack missions destroying several tanks and three artillery pieces. Over Crete, he shot down a RAF Gladiator biplane fighter. On 22 May 1941, Hauptmann Kaminski was appointed Gruppenkommandeur of I./ZG 26. He led the Gruppe in the invasion of Russia. Performing mainly ground attack missions on Russian airfields, the Gruppe destroyed 51 aircraft on the ground in addition to claiming 11 aircraft in aerial combat. Kaminski was awarded the Ritterkreuz on 6 August for five victories. Kaminski was transferred to the staff of the General der Jagdflieger as an advisor on Zerstörer operations. On 1 November 1941, Major Kaminski was appointed Gruppenkommandeur of I./JG 53 based in Sicily. He shot down a RAF fighter over Malta on 20 December. In May 1942, I./JG 53 was relocated to the Eastern front. He shot down a Russian LaGG-3 fighter on 28 June.  On 24 July, I./JG 53 was transferred to the southern sector of the Eastern front. During the transfer flight, Kaminski’s Bf 109 G-2 (W.Nr. 13 481) “<< +” developed engine trouble. In attempting a forced-landed at Taganrog-North, his aircraft crashed resulting in injuries that saw him hospitalised for a time. Kaminski was appointed Gruppenkommandeur of II./ZG 76 on 5 October 1943 and led the Gruppe until 9 August 1944 on Reichsverteidigung operations. He would record a USAAF B-17 four-engine bomber shot down during his time with the unit. He relinquished command of the unit on 9 August 1944. In December 1944, Kaminski was appointed Kommandeur of Flugzeugführerschule A/B 41 at Frankfurt in Oder. He served in this role until the end of the war. Kaminski was killed in an automobile accident at Garmisch on 18 July 1971. 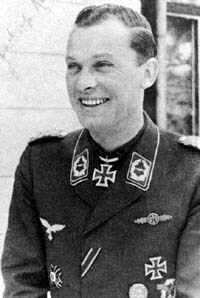 Herbert Kaminski was credited with seven victories in approximately 300 missions. He recorded one victory over the Eastern front. Of the six victories recorded over the Western front, one was a four-engine bomber.